Did you happen to watch our Facebook Live video last week? We introduced the Monarch Mommas! We had so much fun putting this together. Missing from the photo is Amber (who was doing the filming and does SO much of the work involved) as well as Susan and Suzanne. You can see this and all of our previous Facebook Live videos on Facebook. Yes, we are the crazy monarch mommas, that’s for sure! 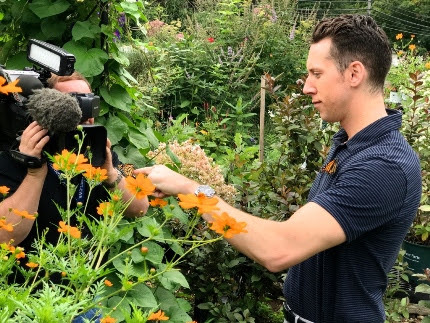 Ryan Kristafer from news channel 8 came and learned about monarch butterflies on Tuesday. He released them and they landed on his shirt! 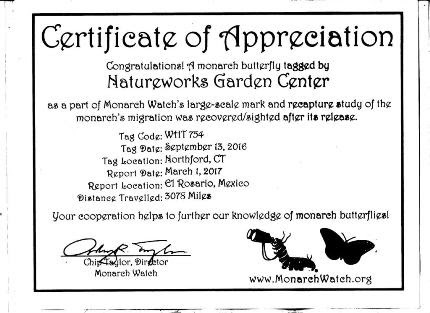 monarchs made it to the preserve in Mexico! Note that they flew 3078 miles to get to El Rosario. Watching the magic happen: a J caterpillar transformed into a chrysalis before our eyes in the afternoon Monarch workshop. 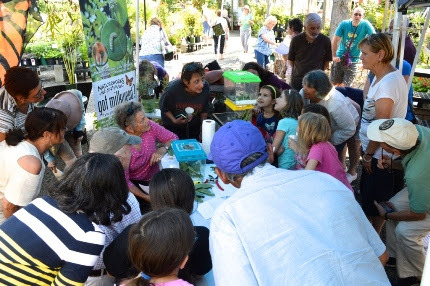 Susan Holland, former retail store manager of Natureworks, looks for eggs on milkweed with the aid of a magnifying glass that we passed around the teaching tent. into a chrysalis right before our eyes. We then went out to the garden and released lots of butterflies. Everyone was so excited! I learned SO much from Diane St. John about the details of their life cycle and the specifics about how to raise them. 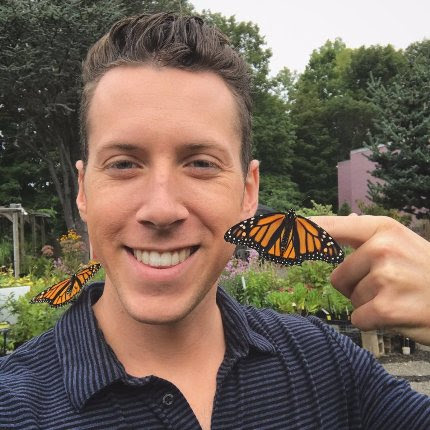 We want YOU guys to raise monarchs too, not just us. We sell everything you need starting with Asclepias plants, raising boxes and mesh cages, magnifying glasses, and a great selection of excellent books on the subject. Register today for the workshop this Saturday afternoon. It WILL fill up. 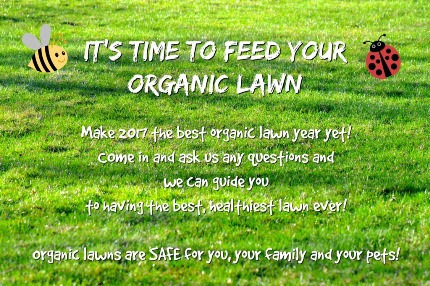 Saturday morning at 10 am we are having a FREE Organic Lawn Care Workshop. It’s time to gear up for the fall lawn season. Seeding and renovation is best done in the fall. Feeding in the fall helps build strong root systems. 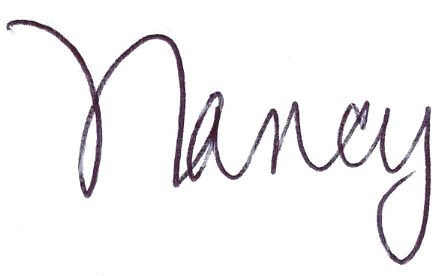 Diane is a great teacher and she will explain it to you and answer all your questions. My husband and I are in year two of our lawn renovation project. I want him to attend this class and ask Diane all his questions instead of me! It is quite dry right now and many of our lawns are dormant. But the rains will return and then it will be time to feed and seed. My recently emptied Smart Pots will be replanted this weekend. finished bearing. This opened up tons of bare spots for me to replant. They stand there, staring at me, quietly whispering “plant me”. So I will! It is so easy to replant a few empty spots now. I will add organic seedlings as well as seeds. What can I still plant? Check out the article below. Jillian and I have come up with some quick projects that will offer you instant gratification and lots of delicious, organic food as fall progresses. Tune in this Thursday at 4 pm to Facebook Liveand watch Jillian and I demonstrate some easy fall edible planting projects that you can do this weekend. Or better yet, stop in for a visit and be in the audience! 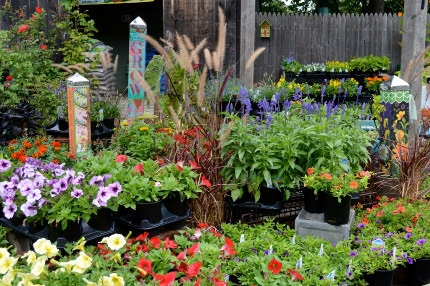 It’s time to refresh your container plantings, hanging baskets, and window boxes for Labor Day weekend and the fall season ahead. We have gorgeous plants of every kind in stock. 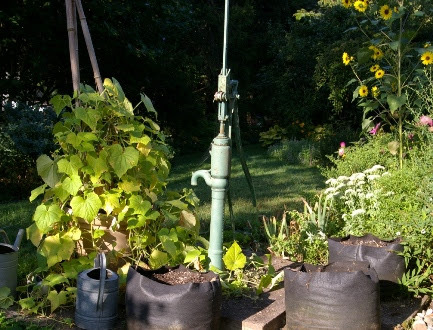 You don’t have to dump out all the good, organic soil. Just remove the plants, add a bit of compost and organic fertilizer, and replant. 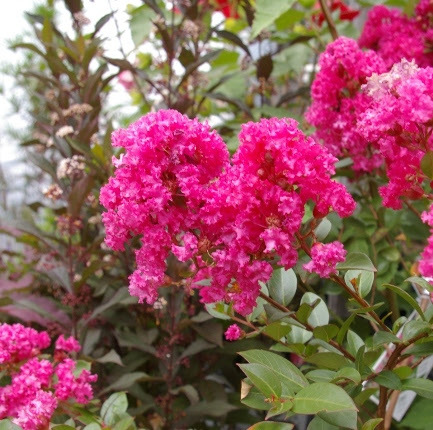 Blend in cold tolerant annuals, fall blooming perennials, ornamental grasses, perhaps some herbs or a flowering shrub. Keep the color coming and enjoy your time outside during the autumn. We have so many great plants in stock on our benches. 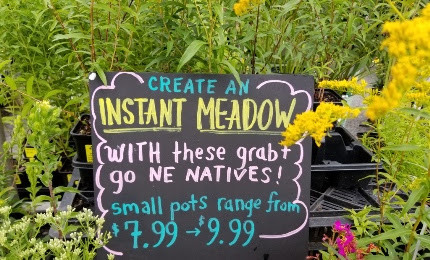 We have a new collection of small plants, perfect for creating an instant mini-meadow or adding durable, fall blooming, native pollinator plants to any garden. In the second article below I will teach you about some of our favorites. gardens. It is so nice to have perennial color to look forward to in September. 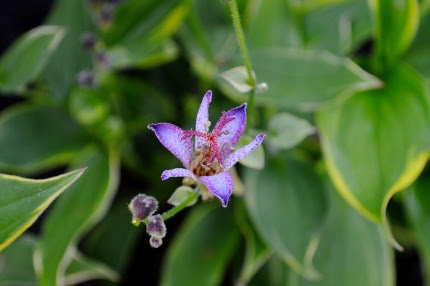 We also have lots of pink turtlehead plants, Chelone lyonii. This is also a featured player in our shade gardens, along with Patrinia, Cimicifuga, Kirengeshoma, and, of course, all sorts of asters. The aster parade is starting to arrive, with Aster umbellatus the first to flower and many more to come. Asters are such a great, hardy, fall perennials that are crucial for migrating monarchs and most late season native pollinators. We offer aster varieties that flower from August until November in succession. I LOVE asters! So stop by this week for a visit. 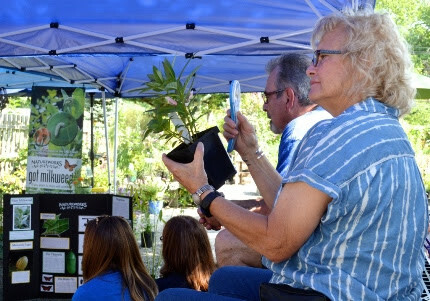 Stroll the gardens, visit the butterfly nursery, and do some shopping to prepare for the holiday weekend ahead. Don’t forget the herbal incense for evening parties. Bring your friends and family to our two workshops this Saturday. We will be closed on Labor Day, so get your shopping done early.